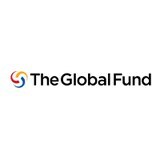 The Global Fund - "Country Coordinating Mechanisms apply for their allocated funding by completing and submitting funding applications. A country must be eligible for funding for that disease and it must meet the other requirements of the Sustainability, Transition and Co-financing Policy. Additional translated versions of the materials will be available in early January 2017."